Media ownership matters, so 2016 has certainly been meaningful for New Zealand media companies and consumers. As I describe in my newly released media ownership report for AUT’s Journalism, Media and Democracy Research Centre (JMAD), three events stand out as the most important. The first two received considerable attention: first, an application to merge from Fairfax New Zealand and NZME; and a second merger application from Vodafone and Sky TV. The third event, though, went under the radar but is no less important: 2016 has seen an increasing dominance by financial interests in the ownership of major commercial media companies in New Zealand. Newspaper corporations and media moguls sold up and left, while financial institutions moved in. 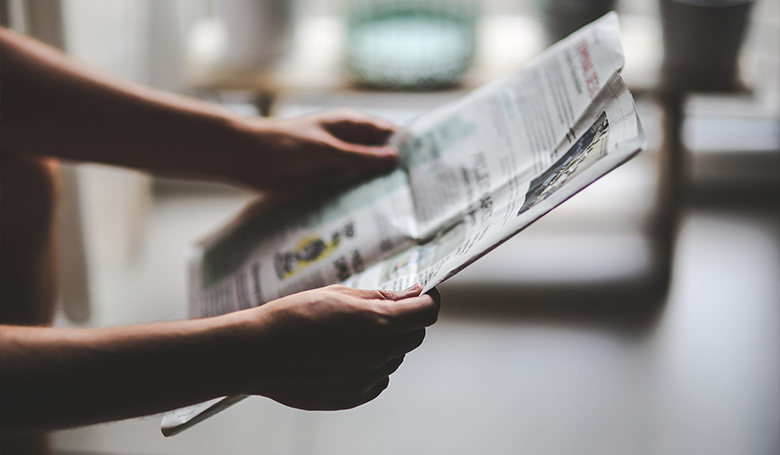 With financialised media ownership, the CEO and board of directors have a duty to the interests of shareholders over the interests of readers or consumers of news. Evidence from the United States reveals that financial owners of newspapers focused exclusively upon profit-maximisation through cost-cutting and revenue raising. Company owners and directors may not understand the media industry, its challenges and opportunities, and so react to changing times with unimaginative and short-term responses. Asset-stripping is one possible outcome. In New Zealand, when Brierley Investments sold assets from New Zealand News in 1989, this led to the single greatest increase in ownership concentration of daily newspapers. Indeed, it is not inconceivable that after extracting what value their print assets contain, media companies owned by financial interests will exit print media altogether, retaining only the most profitable assets in their portfolios. This was the case in June 2016 when Australian APN News and Media sold its newspapers; its business now consists of radio stations and outdoor advertising. Part of this divestment of print assets saw APN’s New Zealand holding, NZME, demerged and listed on the New Zealand and Australian stock exchanges. NZME’s share price initially rose with expectations that its merger with Fairfax would proceed, but then fell to 50 cents on the Commerce Commission’s draft determination on the merger. This low share price makes the company vulnerable to takeover. It also increases the cost of the merger, increasing the amount of capital NZME has to find. As of November 2016, NZME’s substantial shareholders (representing 85.6 % of shares) were all financial institutions: HSBC, JP Morgan, Morgan Stanley, Westpac Allan Grey Investments, Perpetual, UBS and Forager Fund Management. Tellingly, no board members had declared interests in media companies; they did, however, have interests in financial institutions. The situation was similar for Fairfax following the 2015 sale of shares by Gina Reinhart. By 2016 the six largest shareholders in Fairfax were financial institutions. In contrast to NZME, the Fairfax board has a chair and a director with media company experience, although five other directors do not. It is a similar story for New Zealand’s private sector broadcasters. In 2016 all of SKY TV’s substantial shareholders were financial institutions, including investment group Perpetual, listed asset manager Blackrock Investment Management, and the Commonwealth Bank of Australia. In 2015 American hedge fund Oaktree Capital took 100 per cent ownership of MediaWorks from Ironbridge Capital, and in 2016 appointed one of its own representatives, London-based investment banker Jonas Mitzschke, to the company’s board. The appointment of former NZX Chief Executive Mark Weldon to lead the company in 2014 was a poor fit with the existing journalistic culture. As predicted in a National Business Review profile, he made “ruthless decisions on a financial basis”. His departure in 2016 was greeted with relief by staff; the company is still struggling financially. For the first time in the six years that JMAD has compiled its media ownership reports, all private sector media companies in New Zealand are exclusively owned by financial institutions. Transparency International point out that New Zealand has one of the most deregulated media markets in the world. Ownership of media entities is regulated only by the general competition laws of the Commerce Act 1986, and there are no foreign or cross-media ownership laws. The New Zealand Commerce Commission has a track record of approving newspaper merger applications, so their draft determination on the proposed merger between Fairfax and NZME surprised many commentators, who expected the merger to gain approval. The process isn’t over yet. Indeed, now that the Commission has outlined its reasons for declining the merger, the applicants know what to argue against. The applicants had a further chance to advance their case to the Commission at a conference in Wellington in early December. But the draft determination is so overwhelmingly opposed, it is hard to see the Commission granting approval for the merger to proceed. If ultimately unsuccessful – the Commission’s final decision is due in March 2017 – the applicants can challenge this decision in Court. Gordon Campbell has also raised the possibility of a law change to allow the merger to proceed, as happened with Fonterra. By contrast, the Sky-Vodafone merger application is a ‘clearance’, which means it has a lower threshold to pass for approval than the Fairfax-NZME merger application. The applicant firms are from different industries and claim their products are complementary rather than overlapping. Sky TV is facing competition from providers such as Lightbox and Netflix, and Vodafone from telecommunications firms such as Spark. If merged, the 2017 combined revenue is estimated to be $2.9 billion in 2017 with $145 million in profits, and an estimated 845,000 media and entertainment subscribers along with 2.4 million mobile customers. The Commerce Commission has expressed concerns about the lessening of competition that would result from the merger, and note that while prices might initially fall, they could rise later if other telecos fail to compete with the new entity. Competitor Spark submitted to the process, and expressed concerns that a merged Sky-Vodafone “will be able to leverage its monopoly power in the sports content market to the detriment of consumers”. TVNZ submitted that the merger would see the new company accelerate Sky’s practise of locking increasing amounts of premium content behind paywalls. Sky’s willingness to pay high prices for paywallable content makes it increasingly “uneconomic for a stand-alone [free-to-air] provider such as TVNZ to acquire premium content”. The Ministry for Culture and Heritage is currently considering what law changes are needed to ensure that the regulatory regime keeps pace with this converging media and telecommunications sector, as well as changing technologies, business models and consumer expectations. So why does any of this matter? The Commerce Commission’s draft determination makes the case for plurality and diversity in the news market. As Professor Wayne Hope stated at the launch of the JMAD report, concentration of ownership means fewer owners and potentially fewer perspectives, narrowing parameters of public debate. The media are not just conduits for information by others, but important players in the market for information. The nature of media ownership matters and the rise of financial ownership in 2016 is unlikely to result in a healthier public sphere. Dr Merja Myllylahti is a Research Fellow at Auckland University of Technology (AUT). She is also an author and a researcher at the AUT research center for Journalism, Media and Democracy (JMAD). 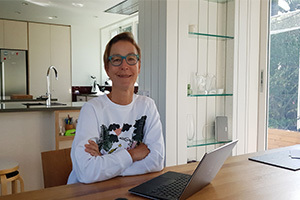 Her work has been published in international academic journals and books including Journalism Studies, Digital Journalism,The Routledge Companion to Digital Journalism Studies, and The Routledge Handbook of Developments in Digital Journalism Studies.